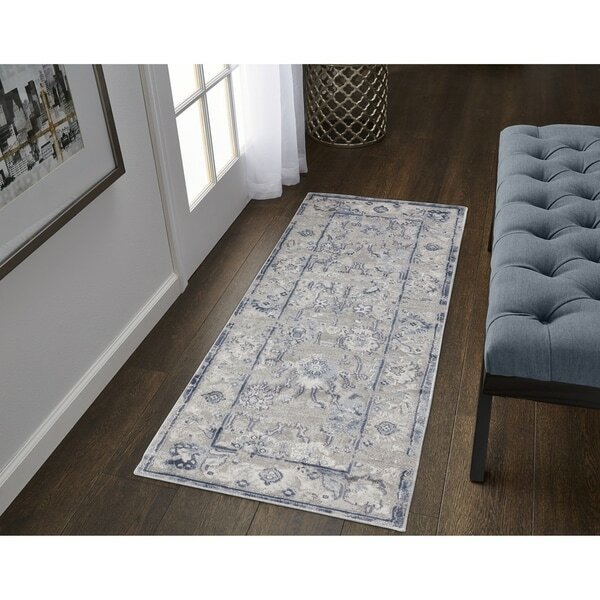 Unroll a timeless look with the Kirovsk distressed area rug, which features old world-inspired motifs, detailed borders, metallic sheen, and a high-low pile designs for a unique dimensional look. Available in a variety of sizes, each rug is power-loomed in Turkey using polypropylene material to create a soft, durable weave that is resistant to water, stains, and fading for a timeless style that's built to last. Safavieh Handmade Irongate Scrolls Wool and Silk Rug - 8'-6" X 11'-6"